Juvéderm Ultra is a range of smooth consistency gels, which is injected to restore lost facial volume, soften fine lines, wrinkles and folds, plus lip definition and volume. The smooth consistency is due to its advanced formulation with hyaluronic acid, a substance that occurs naturally in the body. It was also the first hyaluronic acid dermal filler to contain Lidocaine, a built in local anaesthetic, which makes treatments a more comfortable experience. Juvéderm Ultra comes as a highly versatile range of formulations of viscosity, which offers a choice of volume to match patients’ needs. Juvéderm Ultra 2 is the finest in the range, followed by increasingly thicker formulations 3 and 4, up to Juvéderm Voluma. The range of fillers can be used from softening fine lines and wrinkles to deeper folds and volumising different areas of the face to give a more youthful appearance. Lips can also be defined and volume added where necessary. Possible side effects are injection related such as redness, swelling, itching, bruising and tenderness, which usually resolve after a few days. 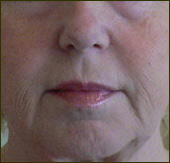 The results following Juvéderm Ultra treatment can be seen immediately. The duration of effect can depend on age, how much filler is injected, where it is placed, the quality of the skin as well as general health and lifestyle. 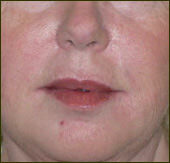 However, the beneficial effects can be expected to last for up to one year after treatment, although lips may be less.